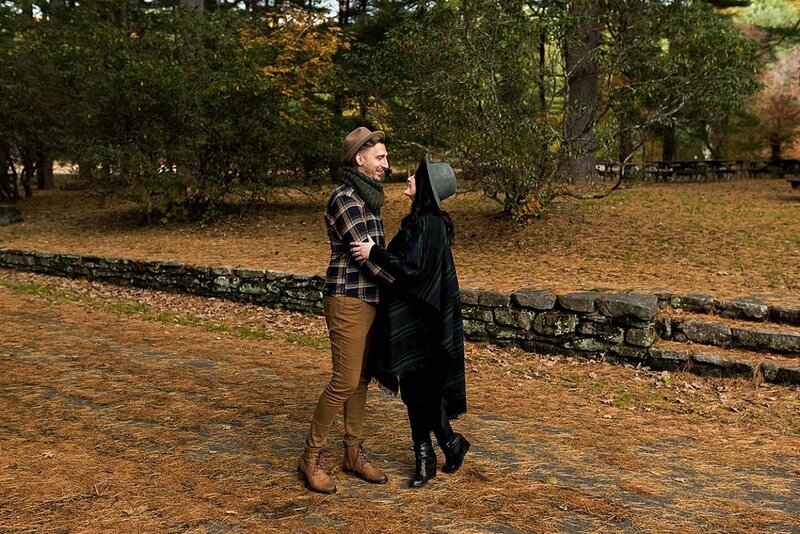 Paul and Talia’s fun engagement photography session in Killingworth, CT on a chilly Fall day. 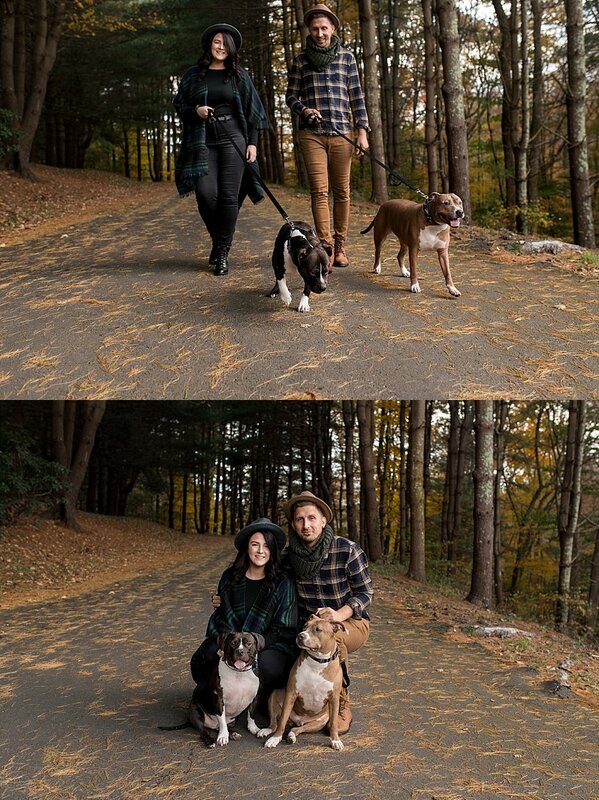 I was so excited when Paul and Talia told me they wanted their fur babies to join in on some of the photo fun during their engagement session. The pups may have wanted to explore the park more than pose for photos, but they decided to join on the fun in the end. I knew the perfect spot for a natural wooded location with tall trees as a backdrop to their engagement photos, just like they envisioned. Couples may feel a little nervous at the very start of their session, it can feel a little weird to have a camera focused on you. Have no fear, my corny jokes and hilarious prompts with either loosen you guys up or help you bond over your mutual feeling of awkwardness at my expense…either way you nail the perfect laughing shot and I win. No but really, my sessions are just full of fun and focus on you two love birds enjoying your time together celebrating your love. No need for stiff poses or fake smiles. 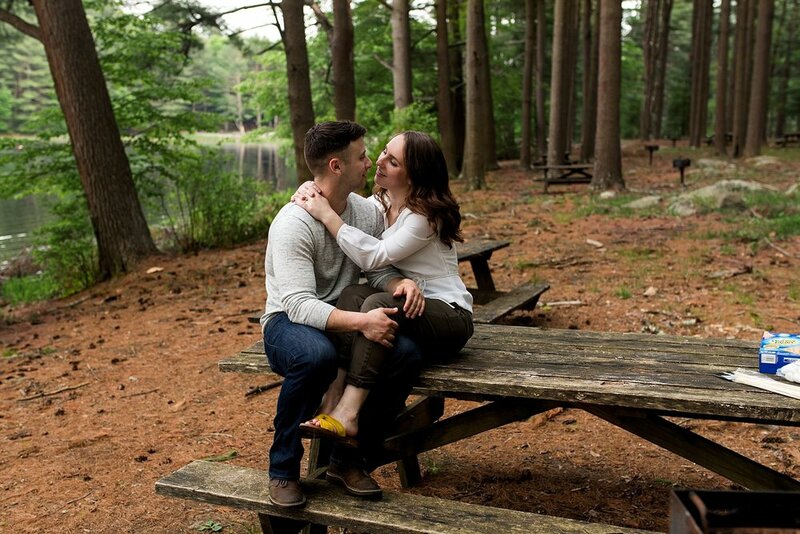 I can not wait to photograph Paul and Talia’s backyard wedding this coming Fall in Milford, CT.
Scroll on down to view some of my favorite moments from this crazy cute engagement session. 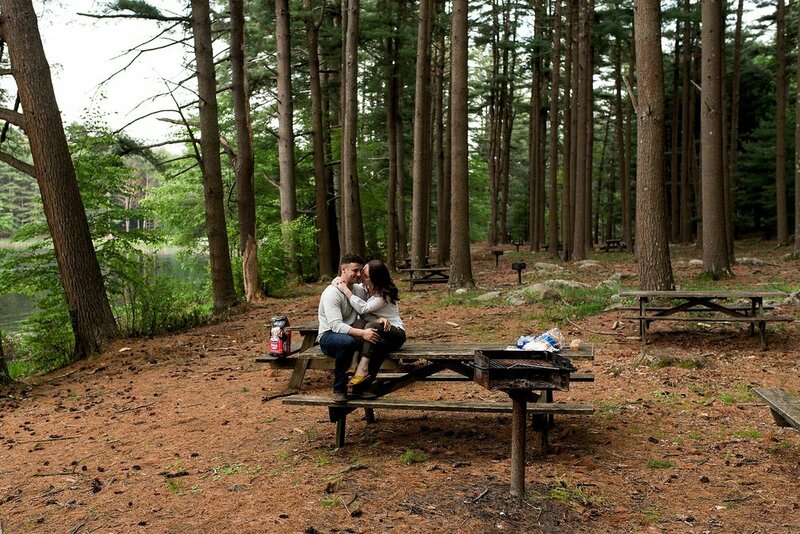 A beautiful Spring evening in Killingworth, CT spent exploring the park and cooking s'mores with this lovely couple. Hope and Sam have been together for over a decade and married for almost one year. 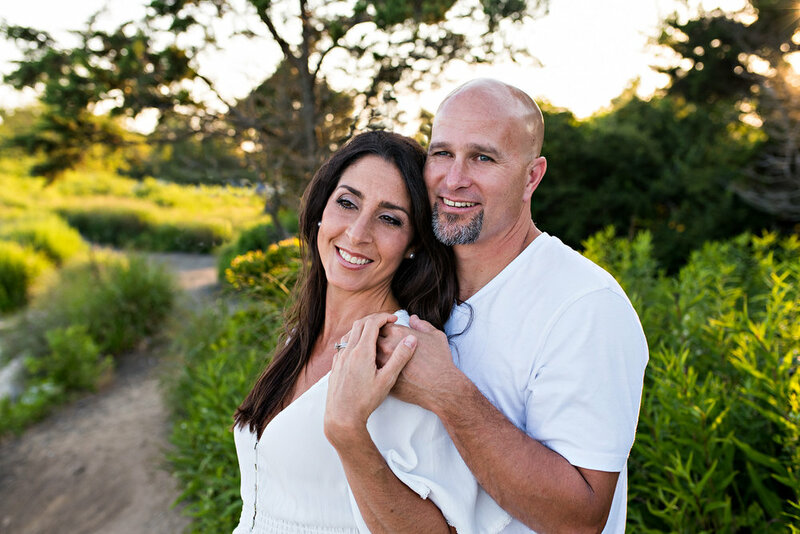 Hope reached out to me saying her and her husband would be visiting Connecticut this Spring and would love to get together for a photography session. She told me they love to hike, go for walks, visit breweries and love alllll things food. My wheels started turning thinking of the perfect location and I knew just the spot. 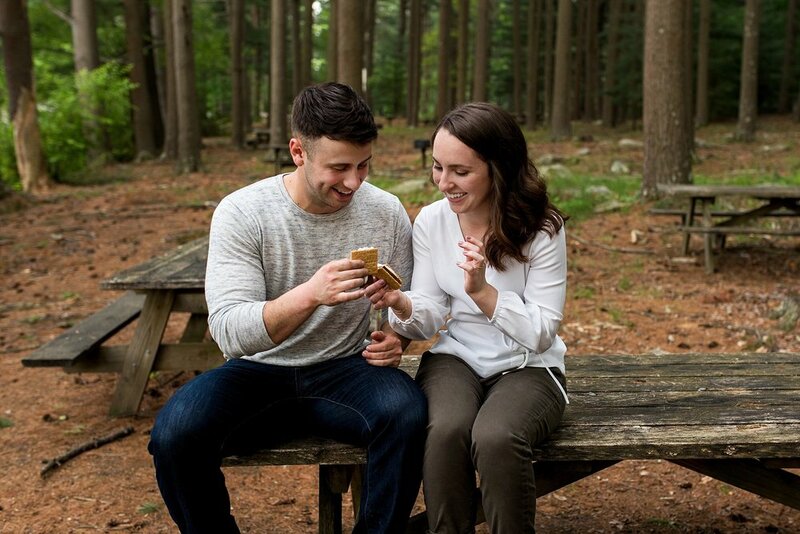 While we didn't get a brewery trip in during this session we did incorporate a lovely ct state park surrounded by greenery and woods to incorporate their love of the outdoors and man, did they make cooking s'mores look pretty darn romantic. 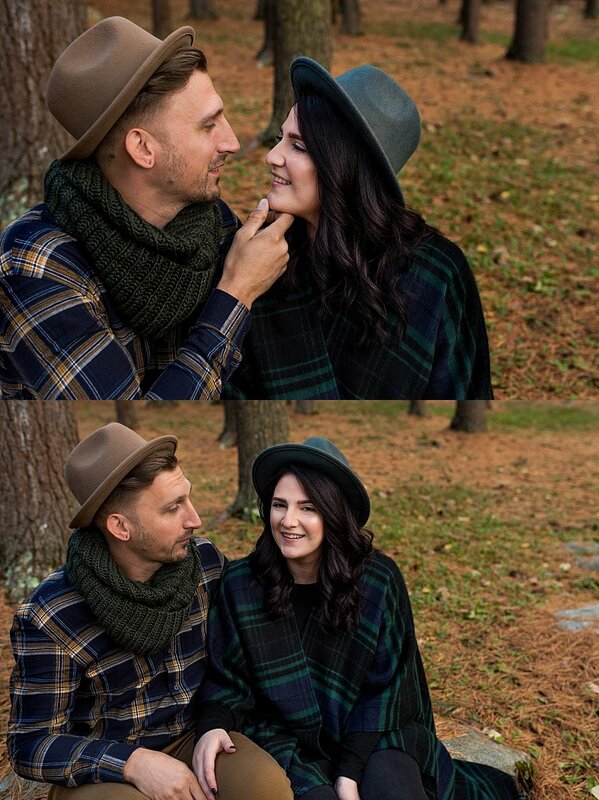 These two have two children together and I just love that they took the time to have a photography session to celebrate their love! 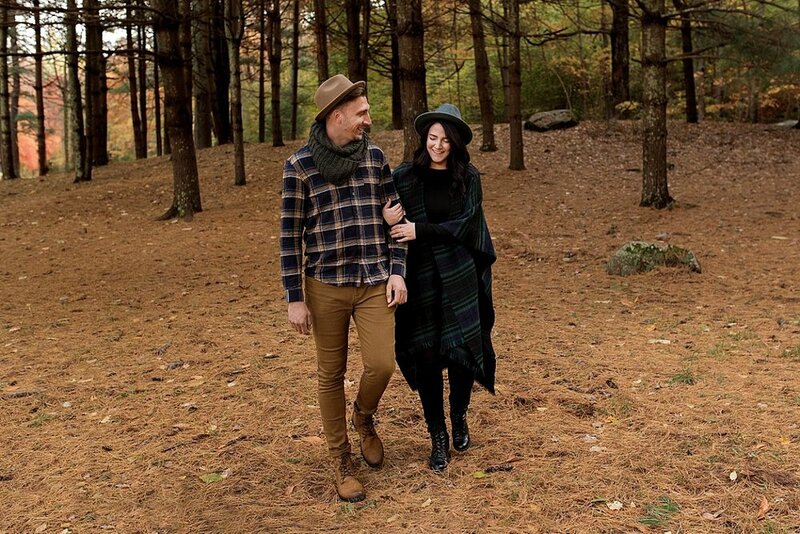 Heading into the woods was the perfect environment for this couple. We spent time hiking up a path of boulders, splashing in the creek and walking about the tall trees. 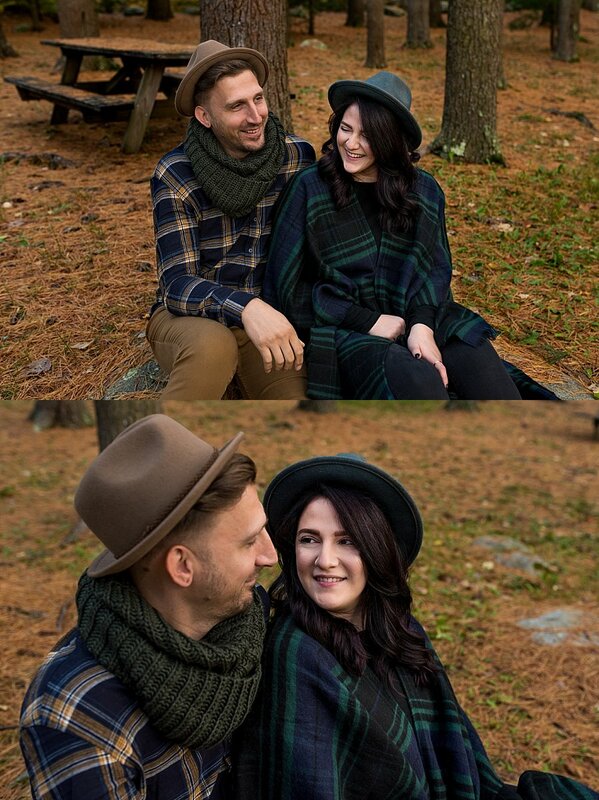 6 year Wedding Anniversary photography session with these insanely adorable babes. I mean...can we say marriage goals?? The gorgeous sunset at the beach in Madison, CT was just an added bonus my evening with this husband and wife. It was such a blast being able to document their love for each other. They have two cute kids together (whom I have had the pleasure of photographing many times in past family photography sessions) and I just love that they took the time to have a photography session just for them and their love. 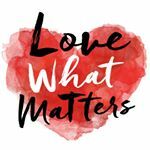 Documenting your love doesn't have to stop after you say "I Do" Celebrate your love for each other throughout all of your stages of marriage. Capturing candid moments together that highlight your love is a beautful thing.